A Crazy Canuck Living in Zany Italia! : Poor old Silvio (and Italy)! 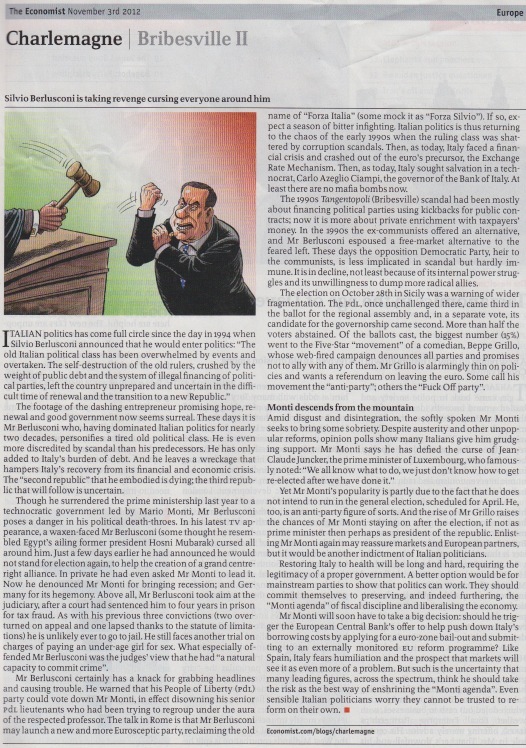 As usual, poor Italy and poor Silvio “Bunga Bunga” Berlusconi (who’s apparently poised ONCE again to come back to the Italian political scene) and the “respect”, or lack of it, that they get from The Economist!